Well, not me. But, my earrings are! You may remember this post? 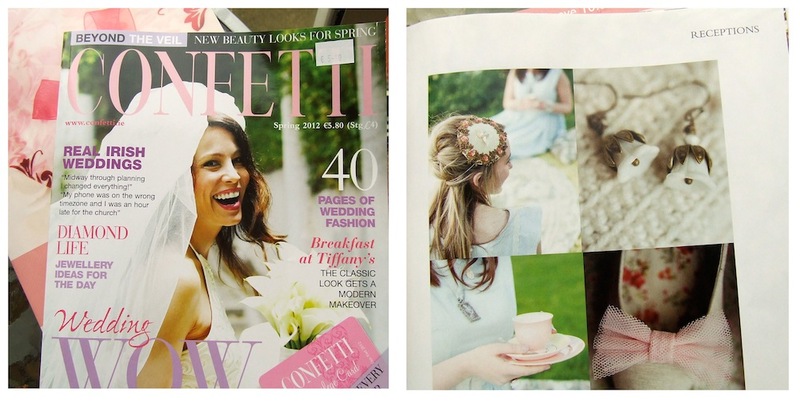 Well, Confetti Magazine (Ireland’s most popular wedding mag) decided to run the shoot in their new Spring 2012 issue! Very exciting! 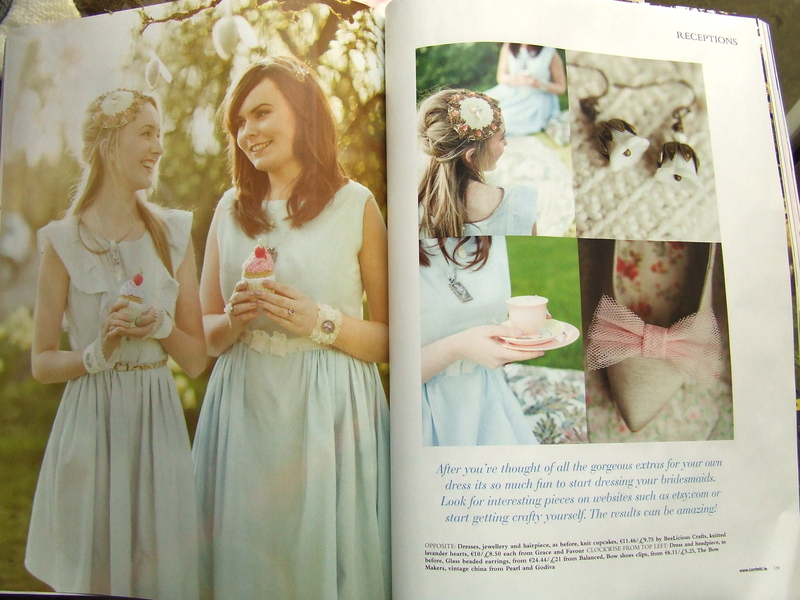 It’s a trip to be able to walk into a shop and pick up a magazine with your work in it. A first for me. I have to, of course, thank Lisa, the wonderful photographer responsible for this shoot. Without her none of this would have been possible. Thank you, Lisa, Confetti Mag and all the other wonderful Etsy sellers who took part! OMG, that’s AWESOME! Congrats, Rach! Congrats! It’s a great feeling, isn’t it? And couldn’t be more well deserved.